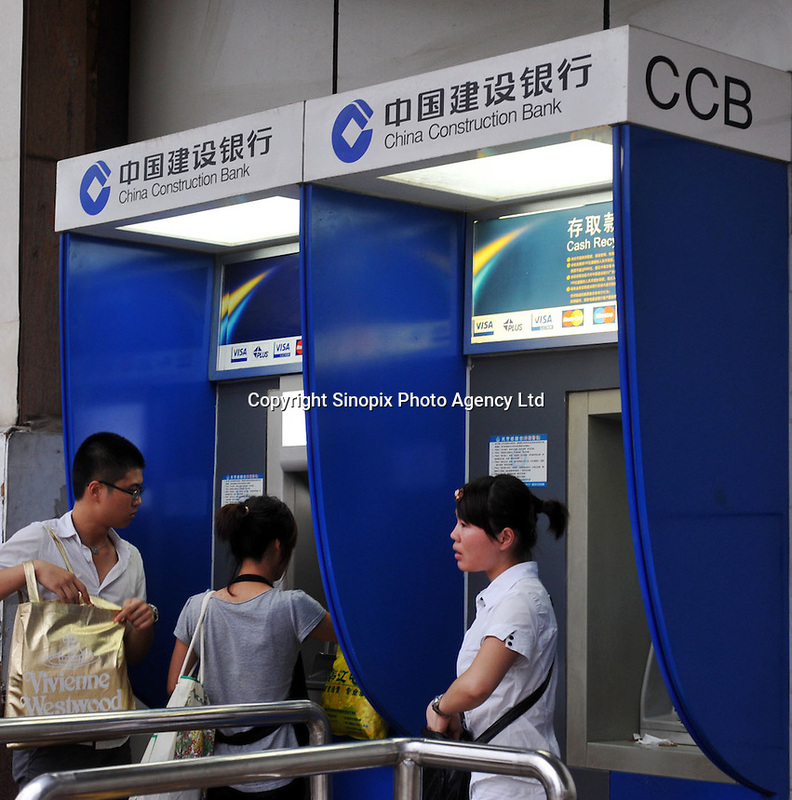 People withdraw money from an ATM of China Construction Bank in Guangzhou, China. The financial crisis won't have too much impact on Chinese consuming market. According to a survey by Nielsen of 50 countries and regions, only 35 percent of Chinese people believed the domestic economy was in a contraction. The figure was the lowest among the 50 world markets..